We are delighted to present this imposing detached stone and slate period country house, dating from 1893. Glynrhedyn stands in its own wooded grounds of approximately 5 acres and features a stream with 2 natural waterfalls. 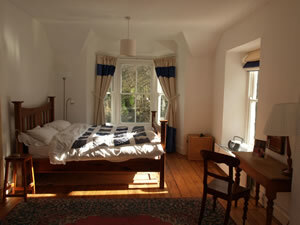 Upstairs: 4 bedrooms, 1 with king size bed, 1 with double bed, 1 with twin beds and 1 with single bed. It is possible to provide a guest bed for +1. Bathroom with cast iron bath, tiled shower cubicle, w.c. and hand basin. Waterfalls with natural stone basin for dipping beneath just minutes from the door within the private grounds. 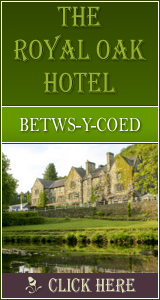 Footpaths abound with access to Bala Lake with its Narrow Gauge Railway, Hotel and Sailing Club. The opposite shore offers a Leisure Centre and Bala Adventure & Watersports. 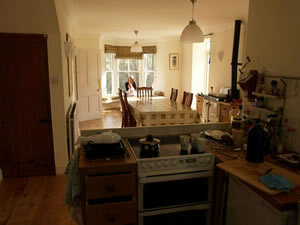 The property is situated on the outskirts of the village of Rhosygwalia, 1 1/2 miles from the market town of Bala. Colour TV/video. Portable colour TV, Music centre. Electric cooker, dishwasher, microwave, fridge and freezer. Toaster, cafetiere. Coffee grinder. Washer/ dryer. Ironing board, steam iron. Hairdryer. Telephone: Incoming calls only. Garden furniture and barbecue. 292 Click Throughs => £146 based on an example £0.50 cost of a click through from Google pay per click.